When you have diabetes, it's easy to feel limited by what you can eat and drink. Although you might occasionally be tempted to stray from your healthy meal plan, you're best to avoid dietary temptations and consume only what your doctor deems appropriate. If you've been previously accustomed to drinking soda, diet alternatives should be safe for you. The American Diabetes Association lists diet soda among the beverages that are safe for diabetics to consume. Diet soda is typically sweetened with one of five artificial sweeteners, including aspartame. These sweeteners do not contain calories, and the ADA reports that they will not cause a blood glucose reaction. Many common flavors of soda are available in diet versions, including cola, root beer, lemon-lime and orange. The safety of artificial sweeteners is highly contested, although the National Cancer Institute reports that no proof exists linking the Food and Drug Administration's approved artificial sweeteners to cancer. 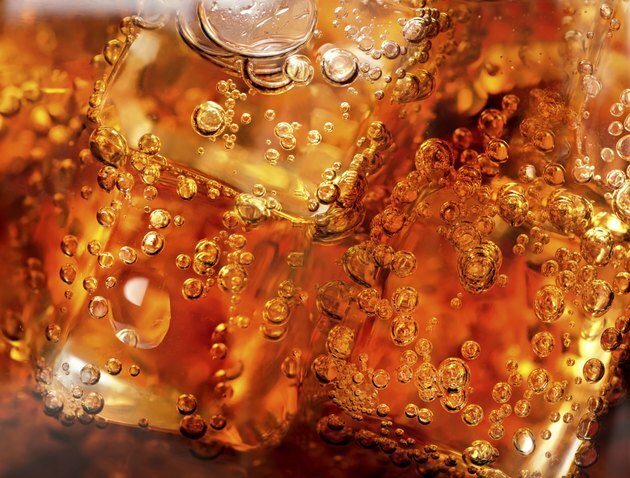 A greater risk in frequently consuming artificially sweetened soda is consuming unhealthy foods because you aren't drinking a high-calorie beverage. A study published in 2010 in the "Yale Journal of Biology and Medicine" that found those who drink heavy amounts of diet soda are more likely to be obese than those who don't drink diet soda, and obesity is a major risk factor for type-2 diabetes. Even if drinking diet soda is safe for diabetics, you shouldn't make a habit of consuming this type of beverage. Diet soda has little nutritional value, and consuming a caffeinated flavor can harm your ability to sleep soundly. Excessive caffeine consumption can also lead to side effects, including anxiety and restlessness. Ceasing to consume caffeine can lead to symptoms such as headaches and irritability, however. Instead of frequently consuming diet soda, look for healthier alternatives that are still safe within the parameters of your diabetic diet. The ADA recommends drinking water, low-fat milk and 100 percent fruit juice. Although the latter two contain calories and carbs, consuming them in moderate amounts is often safe. The ADA suggests carefully counting the calories and carbs from milk or juice in your meal plan. For example, 1 cup of skim milk has 80 calories and 12 grams of carbs, while just 4 to 6 ounces of fruit juice contains at least 50 calories and 15 grams of carbs. Unsweetened coffee and tea are also acceptable. If you enjoy water's hydration benefits but aren't a fan of its taste, squeeze some lemon or lime juice into your glass.